If you are looking for the right presets for your summer adventures we have just released out 2019 Summer Preset collection!! We have the perfect Summer Beach Presets to enhance your skin tone and brighten and warm your images. 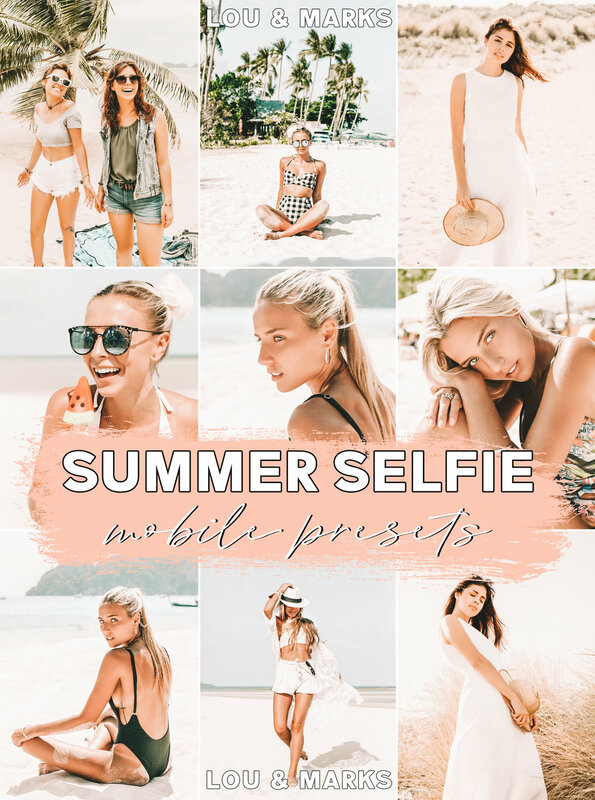 We just released our Summer Selfie and Hawaii Mobile Presets this week and we have had such an amazing response from our customers. These Presets brighten and soften the sand at the beach and add vibrancy to blue skies and water. We have a variety of Mobile & Desktop Lightroom Presets that will produce amazing results in natural light and give a natural look. My most popular natural light presets are my soft & bright vibrant presets. For Lightroom Mobile We Offer Hawaii, Vibrant, Summer Selfie, and Natural Light. These presets are very easy to use and apply in Lightroom Mobile. They create soft vibrant tones with bright and warm undertones. 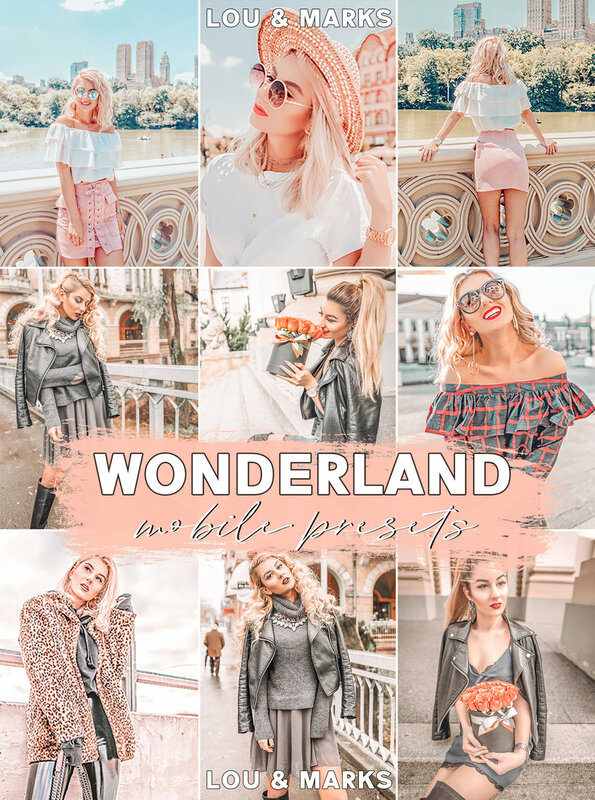 Wonderland Instagram Filters are my best selling Preset for Lightroom Mobile. They are used by so many Instagram Influencers and bloggers. These presets were designed after the look of @tezza and @jacimariesmith they are insanely bright & warm. I have been a Photographer/Blogger/Preset creator for over 6 years. I am always searching for the latest trends in editing and for Instagram Themes. Presets are the best way to keep you Instagram Cohesive and looking like an actual theme. The Best Presets for your Instagram Theme depending on a few things. You first need to decide if you like Bright Images or Moody Images. Do you like your images look dramatic or soft? Presets are easy to use and install and create a cohesive look to your images especially when taken in different places with different lighting. Winter Blues Mobile Lightroom Presets are now availble on the Shop!! These presets are cool and clean with a soft brightness perfect for enhancing overcast images. I created our White Sands Mobile Presets to look like the editing of @lettersofstyle on Instagram. This pack is the brightest presets we can create. These presets are insanely bright with soft highlights and subtle warmth. 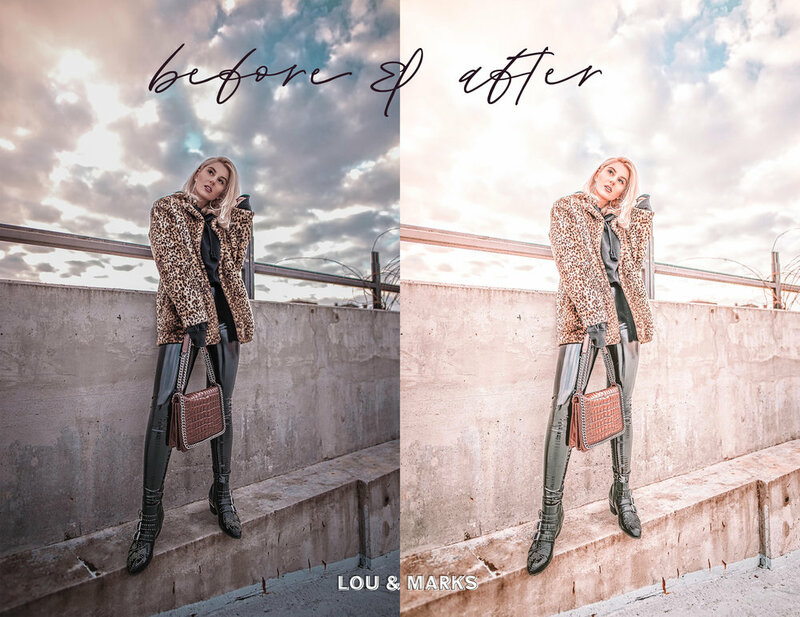 Our @sarahloven inspired Vanilla Cream Mobile Lightroom Presets are bright, soft, and warm with pink undertones. These were created after the look of Sarah Loven’s Instagram style. Spiced Cider is the perfect pack for Mobile Photographers who love rich warmth. This pack has warm highlights and warm shadows. This pack will work great for Summer/Fall on outdoor images. Natural Light Mobile Lightroom Presets are perfect for Spring and Summer. 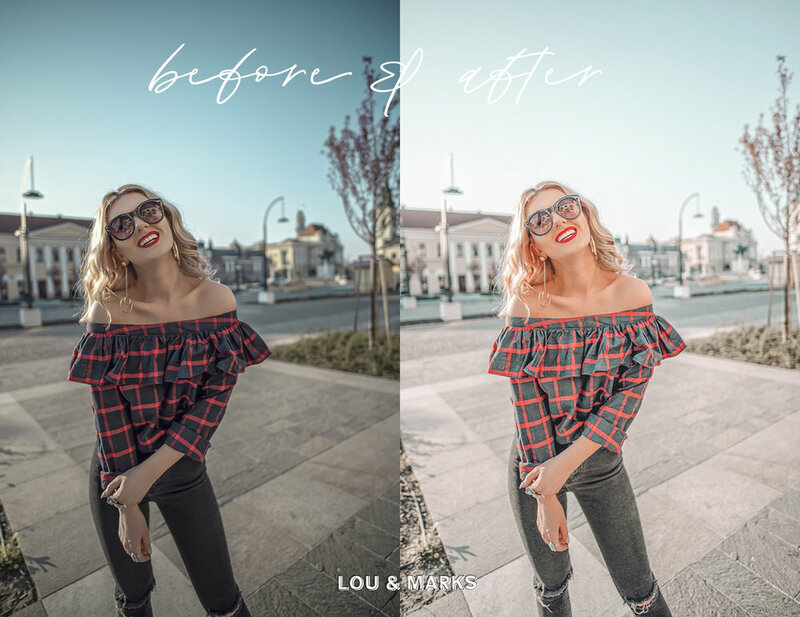 With focuses on saturated tan skin tones, bright backgrounds and soft warmth these presets will enhance your outdoor images so much! I tried recreating the look of @jacimairesmith editing on instagram. 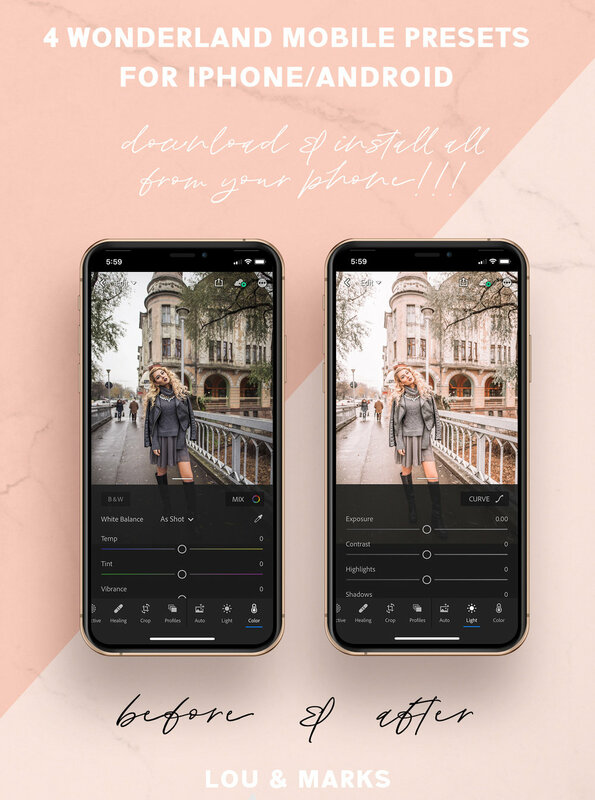 I created our new Grapefruit Mobile Lightroom Presets to look similar to Jace Marie’s warm and bright editing on Instagram. I have loved @mikutas editing for so long! I finally created something as close as I can to her editing on her instagram. Our Black & Bronze Mobile Presets are rich and moody, dark & gritty, and have saturated skin tones.